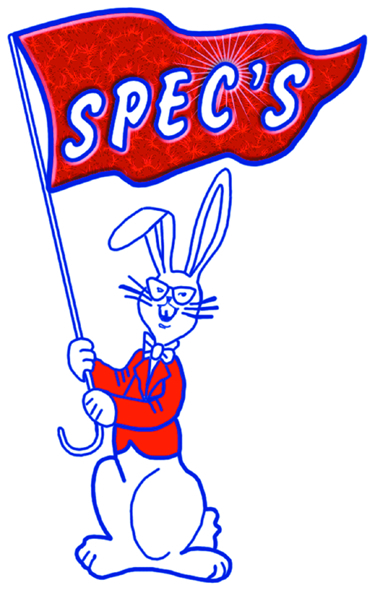 Owned and operated by the same Houston family since 1962, Spec’s is a true destination shopping experience. Spec and Carolynn Jackson started with a small store on Lyons Avenue selling pints and half pints of liquor. Over the years they diligently worked to open more locations and expanded to include larger bottles of liquor and then beer. In 1971 their daughter Lindy and son in law John joined the business upon college graduation. John and Lindy learned the business from the ground up and together the four put Spec’s into the spotlight of the world. In 1972, Spec opened his dream – the Smith Street Warehouse store … and the legend grew. With the introduction of fine wines in 1974, John Rydman moved Spec’s to the forefront of the fine world with the breadth of wine selection and the best pricing offered in Texas. Since then Spec’s has continued to grow. The Smith Street warehouse store (aka “the Spec’s Mothership”) has expanded time and again to over 80,000 square feet and the wine department (company wide) offers over 15,000 different wines (which we believe to be the largest selection of wines in the world). Today, there are over 130 Spec’s stores spread across the great state of Texas. While most all of these stores sell at least some fine wine, it is mostly in the bigger flagship stores where Spec’s offers the best of the best. Click Here for a list of Spec’s best Fine Wine Stores.